Spring Is the Time to Recharge Your AC... Or Is It? Most people old enough to own a home remember having to get their car's AC charged or have heard about a friend or parent doing it. While some older cars do need to have their AC's refrigerant recharged on occasion because of poor AC design, this does not mean you need to do the same with your home's AC. A home air conditioning system is a completely closed loop, so you will never need to add refrigerant unless something is wrong with your air conditioner. What Exactly Does Refrigerant Do? While you may think of your air conditioner as making your air colder, it's actually making your air less hot. Refrigerant enters the inside blower unit of your air conditioner as a cold liquid. When warm air is pulled in through your air conditioner's intake vent, the laws of physics cause the heat to transfer from that air into the liquid refrigerant. The "less hot" air goes back into your home through the vents, and the now hot refrigerant is sent to the air conditioner's outside unit. The outside unit's fan cools off the refrigerant, and it's sent back inside to take in more heat. When Would You Need More Refrigerant? 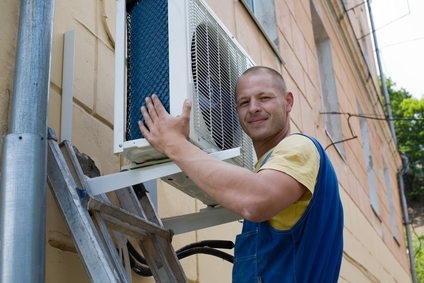 Air conditioner refrigerant circulates continuously through completely sealed off tubes. It is constantly reused and never wears out — it's no different than water in a snow globe. The only way you would need new refrigerant is if this system develops a leak, and this is not a normal occurrence. How Can You Tell If You Have a Refrigerant Leak? Lost cooling capacity is the main symptom of a refrigerant leak. Normally, the air coming out of your AC vents should be about 15 to 20 degrees colder than the air going into the intake vent. You can measure the temperature difference using a normal thermometer. If the temperature difference is lower than expected, you might have a refrigerant leak. AC technicians also have special tools for measuring your system's charge and detecting smaller leaks before you notice a temperature difference. If you're told your refrigerant is low, your first question should be, "Where is the leak and can you fix it?" While some contractors might try to sell you on a refrigerant charge alone, you either don't need it or they're ignoring the main problem — the leak.